CARFAX 1-Owner, GREAT MILES 26,706! FUEL EFFICIENT 37 MPG Hwy/25 MPG City! Dual Zone A/C, Onboard Communications System, CD Player, WiFi Hotspot, Smart Device Integration, Brake Actuated Limited Slip Differential, iPod/MP3 Input, Alloy Wheels, ENGINE: 1.5L ECOBOOST READ MORE! Back-Up Camera, Satellite Radio, iPod/MP3 Input, CD Player, Onboard Communications System, Aluminum Wheels, Dual Zone A/C, Brake Actuated Limited Slip Differential, Smart Device Integration, WiFi Hotspot MP3 Player, Keyless Entry, Child Safety Locks, Steering Wheel Controls, Heated Mirrors. 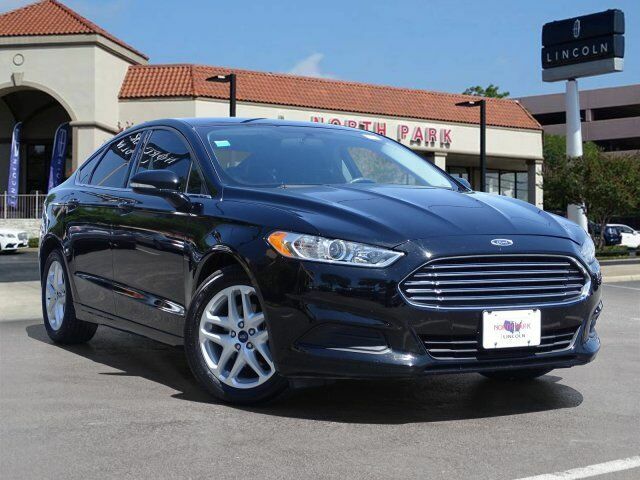 KBB.com`s review says Whether you want a sporty family car with Euro-sharp looks, or just a practical and affordable way to haul around five people, the 2016 Ford Fusion is a hard car to dislike.. Great Gas Mileage: 37 MPG Hwy.